15 Mar 2017 – I’m at the home of one of the greatest living intellectuals on earth. In the cold, windy Copenhagen weather as we ring the bell John Scales Avery opens the door and welcomes me and my friend John Graversgaard warmly into his home. He serves us coffee and we talk. I’m stunned by his humility and breadth of knowledge. John Avery is someone who is an academician but not restrained by the rigidity of the academic community. He is a scientist but not constrained to his area of study. He is someone who connects the dots. With his deep knowledge and vast experience he surmises human destiny scientifically. No, he is someone who is worried about the fate of all life forms on earth. His book “Information Theory And Evolution” is a seminal classic. He is coming out with a book “Civilization’s Crisis: A Set of Linked Challenges” which will be published by the World Scientific. John Avery is not just an academician and scientist. He is also an active peace activist who campaigns vigorously against nuclear proliferation. Since 1990 he has been the Contact Person in Denmark for Pugwash Conferences on Science and World Affairs. In 1995, this group received the Nobel Peace Prize for their efforts. He was the Member of the Danish Peace Commission of 1998. Technical Advisor, World Health Organization, Regional Office for Europe (1988- 1997). He was also Chairman of the Danish Peace Academy. More than everything else he is an intellectual who sees through the miasma that clouds our vision by ideological rigidity and mass media obfuscation. I have a fascination to know how life evolved on this earth, and what’s it’s future. 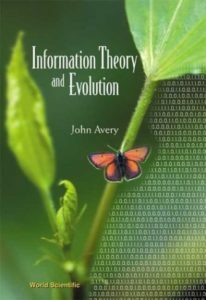 Your wonderful book, “Information Theory and Evolution” answers almost all these questions. What prompted you to write the book? During the summers of 1960 and 1961, while I was still a postgraduate student in theoretical physics at the University of Chicago, I had the privilege of spending two summers working in the laboratory of the great Hungarian-American physiologist and biochemist, Albert Szent-Györgyi. He was famous for isolating vitamin C and for discovering the molecular mechanism of muscle contraction. But more importantly, he founded a new field of study: Bioenergetics. Szent-Györgyi wondered how the chemical energy from food is harnessed to do mechanical work or to drive our metabolisms. He reasoned that there must be structures in living organisms which are analogous to the structures of engines. If you pour gasoline onto the street and set fire to it, no useful work results, only heat, but if you burn it inside an engine, the chemical energy of the gasoline can be converted into useful mechanical work. Following this line of thought, Szent-Györgyi looked for energy-transducing structures in the tissues of living organisms. Among the structures that caught Szent-Gtörgyi’s attention were mitochondria, which power the metabolism of all animals, and he also studied the microscopic photosynthetic unit (thylakoids) in plants. After some years of work, he became convinced that quantum theory was needed in order to gain a complete understanding of how these microscopic engines work. Therefore he spent a year at the Institute for Advanced Study in Princeton, where he learned quite a lot of quantum theory. Although he knew enough quantum theory to understand what physicists were talking about, he nevertheless thought that for the research which he wanted to undertake, he needed to collaborate with people whose whole education was in that field, and he brought some theoretical physicists (including me) to his laboratory. During the time that I was there, we worked to obtain a quantum theoretical understanding of the mechanism of the primary process in photosynthesis, where the energy of a photon is stabilized and trapped, ready to drive the synthests of sugars. In 1969, after I had obtained a Ph.D. in theoretical chemistry from Imperial College, University of London, and was teaching there, Plenum Press invited me to start a new journal and to become its first Managing Editor: It was called “The Journal of Bioenergetics and Biomembranes”. (I think that Szent-Györgyi must have recommended me for this task). I served as editor until 1980. During that time, I am proud to say, our authors included Peter Mitchell and Jens C. Skou, whose papers were being refused by other journals at the time, but who each later won a Nobel Prize. In 1973, for family reasons, I moved permanently to the University of Copenhagen, One of the courses I helped to teach there was on “Statistical Mechanics from the Standpoint of Information Theory”. What a title! My Copenhagen colleague, Dr. Knud Andersen, who had initiated this course, was really ahead of his time! I learned a great deal from helping him to teach the course. Also, for many years, I taught physical chemistry to biologists. In this field, the concept of Gibbs free energy is very central. In a chemical reaction, the entropy (i.e. disorder) of the universe must always increase, as is required by the second law of thermodynamics. Entropy is a measure of disorder, and the universe always moves towards a state of greater disorder. To say this is the same as saying that the universe always moves from less probable configurations to states of greater and greater probability. We can create local order, but only by exporting disorder to the universe as a whole. In chemical thermodynamics, the requirement that Gibbs free energy must always decrease in a spontaneous chemical reaction is equivalent to saying that the entropy of the universe must always increase, but it allows us to take into account the fact that chemical reactions usually occur at constant temperature and pressure. In addition to teaching courses in chemistry and physics, I also taught a course on “Science and Society”. This was a history of science and its enormous social impact. An enlarged and updated version of the book that I wrote for this course has recently been published by World Scientific. One of the features of my Science and Society course was that we had many exciting guest lecturers. Among these were Dr. Claus Emmeche and Dr. Luis Emilio Bruni, both of whom were experts in the new field of Biosemiotics, which regards information as the central feature of living organisms. Listening to their wonderful lectures, I found a criticism forming in my mind: They did not distinguish between cybernetic information and thermodynamic information. In other words, they did not distinguish between the information contained in messages, and the information content of Gibbs free energy. I decided that I would try to write a book which would make this distinction clear, but the project was left “on the back burner”, and I too no steps towards starting it. 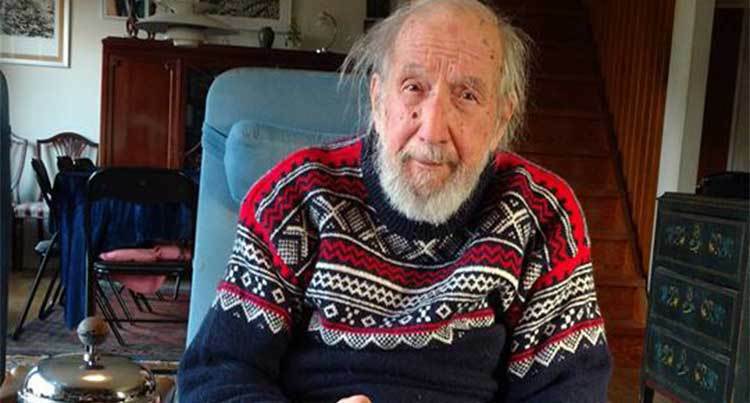 However, a few years later, when I was visiting the Harvard laboratory of the famous chemical physicist Professor Dudley R. Herschbach, he took me to lunch with his postgraduate student, Anita Goel. She was in a special Harvard-MIT program where she was simultaneously obtaining both her Ph.D. in chemical physics and her M.D. After lunch, I spent the afternoon talking with Anita, and I told her about the information theory book that I was vaguely planning to write. Listening to her reaction, I realized that this was an extremely hot topic. Anita told me that there were many other people working hard on these questions, although they perhaps did not have exactly my angle of approach. I decided to start writing immediately. Anita was very good at asking questions, and during the whole afternoon she asked me more and more about how my planned book would be organized. How would I explain this, and how that? Which topics should come first and which afterwards? Her excellent questions forced me to find answers. At the end of the afternoon, I returned to my lodgings and wrote down in detail my whole conversation with Anita. By a coincidence, when I returned to Copenhagen, I found on my desk a letter from the World Scientific Publishing Company asking whether I had any writing plans in which they might be interested. I immediately formalized the outline that I had written at Harvard, and sent it to them; but I did not think that they could find a reviewer who had a background both in information theory and in biology. To my amazement, World Scientific found a Swedish professor with a background in both fields. He wrote an extremely long review of my book proposal, many times the usual length, criticizing some aspects of my proposed outline, suggesting improvements, and finally recommending publication. When the book came out, I expected some harsh criticism from the Biosemiotics experts like Claus and Luis, but in fact they liked what I had written. Recently World Scientific asked me to produce a new edition, incorporating the latest research. Today, if one includes topics like artificial life and computer technology inspired by mechanisms of the brain, the field is developing with great speed. MIT, where I graduated with a B.Sc. in 1954, now has a Department of Cognitive Science, in which half the researchers are looking more and more deeply at how the brain works, while the other half are producing hardware and software that mimic the functions of the brain, including learning and intuition. I also have a fascination for the second law of thermodynamics, and how it affects every aspect of our life. You’ve wonderfully connected the evolution of life and the second law of thermodynamics. Can you explain briefly for CC readers how both these phenomena are connected? Since disorder (entropy) always increases, how is it possible that the world we see around us so highly ordered? How is life possible? How is the Taj Mahal possible? How is the internet possible? The answer is that the earth is not a closed system. A flood of information-containing free energy reaches the earth’s biosphere in the form of sunlight. Passing through the metabolic pathways of living organisms, this information keeps the organisms far away from thermodynamic equilibrium, which is death. As the thermodynamic information flows through the biosphere, much of it is degraded to heat, but part is converted into cybernetic information and preserved in the intricate structures which are characteristic of life. The principle of natural selection ensures that when this happens, the configurations of matter in living organisms constantly increase in complexity, refinement and statistical improbability. This is the process which we call evolution, or in the case of human society, progress. The information revolution has made life easier for many of us humans, even helping us to be born. But it has also destroyed our ecosystems, putting our own life, and the life of our fellow species into peril. Can we use the information revolution to our advantage to save the planet? Cultural evolution depends on the non-genetic storage and transmission, diffusion and utilization of information. The development of human speech, the invention of writing, the development of paper and printing, and finally in modern times, mass media, computers and the Internet: all these have been crucial steps in society’s explosive accumulation of information and knowledge. Human cultural evolution proceeds at a constantly accelerating speed; so great in fact that it threatens to shake society to pieces. Within rapidly-moving cultural evolution, we can observe that technical change now moves with such astonishing rapidity that neither social institutions, nor political structures, nor education, nor public opinion can keep pace. The lightning-like pace of technical progress has made many of our ideas and institutions obsolete. For example, the absolutely sovereign nation-state and the institution of war have both become dangerous anachronisms in an era of instantaneous communication, global interdependence and all-destroying weapons. In many respects, human cultural evolution can be regarded as an enormous success. However, at the start of the 21st century, most thoughtful observers agree that civilization is entering a period of crisis. As all curves move exponentially upward, population, production, consumption, rates of scientific discovery, and so on, one can observe signs of increasing environmental stress, while the continued existence and spread of nuclear weapons threaten civilization with destruction. Thus, while the explosive growth of knowledge has brought many benefits, the problem of achieving a stable, peaceful and sustainable world remains serious, challenging and unsolved. The achievements of modern society are achievements of cooperation. We can fly, but no one builds an airplane alone. We can cure diseases, but only through the cooperative efforts of researchers, doctors and medicinal firms. We can photograph and understand distant galaxies, but the ability to do so is built on the efforts of many cooperating individuals. Looking at human nature, both from the standpoint of evolution and from that of everyday experience, we see the two faces of Janus: one face shines radiantly; the other is dark and menacing. Two souls occupy the human breast, one warm and friendly, the other, murderous. Humans have developed a genius for cooperation, the basis for culture and civilization; but they are also capable of genocide; they were capable of massacres during the Crusades, capable of genocidal wars against the Amerinds, capable of the Holocaust, of Hiroshima, of the killing-fields of Cambodia, of Rwanda, and of Darfur. This being so, there are strong reasons to enlist the help of education and religion to make the bright side of human nature win over the dark side. Today, the mass media are an important component of education, and thus the mass media have a great responsibility for encouraging the cooperative and constructive side of human nature rather than the dark and destructive side. Our almost miraculous means of communication, if properly used, offer us the possibility of welding humanity into a single cooperative society. Like every activity on earth, economic activity also is a dissipative form of energy flow. Why is so much income disparity taking place? According to a recent Oxfam report, eight people own as much wealth as the poorest half of humanity. How do you explain it? Do you think that the second law of thermodynamics should be made an essential part of our educational system, especially in economics? With your permission, I will try to answer your last question first. I absolutely agree with you that the concept of entropy and the second law of thermodynamics ought to be made an essential part of our educational system, especially in economics. Although classical economic theory leaves it out entirely, a few pioneers of economic thought have realized that entropy and dissipation need play a central role in any correct theory. One of the first people to call attention to the relationship between entropy and economics was the English radiochemist Frederick Soddy (1877-1956). Soddy won the Nobel Prize for Chemistry in 1926 for his work with Ernest Rutherford, demonstrating the transmutation of elements in radioactive decay processes. His concern for social problems then led him to a critical study of the assumptions of classical economics. Soddy believed that there is a close connection between free energy and wealth, but only a very tenuous connection between wealth and money. He was working on these problems during the period after World War I, when England left the gold standard, and he advocated an index system to replace it. In this system, the Bank of England would print more money and lend it to private banks whenever the cost of standard items indicated that too little money was in circulation, or conversely destroy printed money if the index showed the money supply to be too large. Soddy was extremely critical of the system of “fractional reserve banking” whereby private banks keep only a small fraction of the money that is entrusted to them by their depositors and lend out the remaining amount. He pointed out that, in this system, the money supply is controlled by the private banks rather than by the government, and that profits made from any expansion of the money supply go to private corporations instead of being used to provide social services. When the economy is expanding, this system is unjust but not disastrous. However, when the economy contracts, depositors ask for their money; but it is not there, having been lent out; and the banks crash. Fractional reserve banking exists today, not only in England but also in many other countries. Soddy’s criticisms of this practice cast light on the subprime mortgage crisis of 2008 and the debt crisis of 2011. As Soddy pointed out, real wealth is subject to the second law of thermodynamics. As entropy increases, real wealth decays. He contrasted this with the behavior of debt at compound interest, which increases exponentially without any limit, and he remarked: “You cannot permanently pit an absurd human convention, such as the spontaneous increment of debt [compound interest] against the natural law of the spontaneous decrement of wealth [entropy]”. Thus, in Soddy’s view, it is a fiction to maintain that being owed a large amount of money is a form of real wealth. Frederick Soddy’s book, Wealth, virtual wealth and debt: The solution of the economic paradox, published in 1926 by Allen and Unwin, was received by the professional economists of the time as the quixotic work of an outsider. Today, however, Soddy’s common-sense economic analysis is increasingly valued for the light that it throws on the instability of our fractional reserve banking system as economic growth falters. The incorporation of the idea of entropy into economic thought also owes much to the mathematician and economist Nicholas Georgescu-Roegen (1906- 1994), the son of a Romanian army officer. Georgescu-Roegen’s talents were soon recognized by the Romanian school system, and he was given an outstanding education in Mathematics, which later contributed to his success and originality as an economist. After making many technical contributions to economic theory, Georgescu-Roegen returned to this insight in his important 1971 book, The Entropy Law and the Economic Process (Harvard University Press, Cambridge, 1971), where he outlines his concept of bioeconomics. Nicholas Georgescu-Roegen’s influence continues to be felt today, not only through his own books and papers but also through those of his student, the distinguished economist Herman E. Daly, who for many years has been advocating a steady-state economy. As Daly points out in his books and papers, it is becoming increasingly apparent that unlimited economic growth on a finite planet is a logical impossibility. However, it is important to distinguish between knowledge, wisdom and culture, which can and should continue to grow, and growth in the sense of an increase in the volume of material goods produced, which is reaching its limits. Let me now turn to your question about enormous economic inequality. This exists today both within nations and between nations. Part of the explanation for this intolerable economic inequality can be found in the remarkable properties of exponential growth. If any quantity, for example indebtedness, is growing at the rate of 3% per year, it will double in 23.1 years; if it is growing at the rate of 4% per year, the doubling time is 17.3 years. For a 5% growth rate, the doubling time is 13.9 years, if the growth rate is 7%, the doubling time is only 9.9 years. It follows that if a debt remains unpaid for a few years, most of the repayments will go for interest, rather than for reducing the amount of the debt. Another part of the explanation lies in “resource wars”, conducted by militarily powerful countries to put in place or maintain unfair trade relationships with resource-rich nations in the third world. Finally, our present economic system favors concentration of wealth. “The rich get richer, and the poor get poorer”, or “To him who hath, it shall be given, but from him who hath not, even that which he hath shall be taken away”. At present, powerful oligarchs use their wealth to control governments. Democracy decays, tax loopholes are found for the rich, and inequality increases. This situation, and the impossibility of perpetual growth on a finite planet, point to the need for a new economic system, a system where cooperation plays a greater role; a system with both a social conscience and an ecological conscience. The nuclear bomb is the greatest concentration of man-made energy on earth. Why peace is the only software capable of diffusing this dangerous concentration of energy? The human tendency towards tribalism evolved when our remote ancestors lived in small, genetically homogeneous tribes, competing for territory on the grasslands of Africa. Because marriage within a tribe was much more common than marriage outside it, genes were shared within the tribe. The tribe as a whole either survived or perished. The tribe, rather than the individual was the unit upon which the Darwinian forces of natural selection acted. Today, at the start of the 21st century, we live in nation-states to which we feel emotions of loyalty very similar to the tribal emotions of our ancestors. The enlargement of the fundamental political and social unit has been made necessary and possible by improved transportation and communication, and by changes in the techniques of warfare. The tragedy of our present situation is that the same forces that made the nation-state replace the tribe as the fundamental political and social unit have continued to operate with constantly increasing intensity. For this reason, the totally sovereign nation-state has become a dangerous anachronism. Although the world now functions as a single unit because of modern technology, its political structure is based on fragments, on absolutely sovereign nation-states . They are large compared to tribes, but too small for present-day technology, since they do not include all of mankind. How can information theory play a role in peace politics? Biosemiotics regards information as being the central feature of living organisms- Societies can be regarded as super-organizme. One might think of extending Biosemiotics to the study of the way in which information is the central feature of the development and function of societies. Such a field of study might be called Sociosemiotics. Information theory is certainly essential to an understanding of history and to an understanding of the crisis of civilization that has been produced by the information explosion. Do you see any connection between the rise of populist and even fascist leaders around the world and information theory and thermodynamics? When the earth’s human population is plotted as a function of time over a period of 10,000 years, the simple mathematical function that best fits the data is not an exponentially increasing curve but a hyperbola, P=C/(2025-t), where P is the population, C is a constant, and t is the time, measured in years. If population continued to follow this curve, it would become infinite in the year 2025, which, of course, is impossible. In fact, global population has already begun to fall below the curve. Why is the empirical curve a hyperbola rather than an exponential? We can understand this if we see the growth of population as being driven by the information explosion. According to Malthus, population always presses against its food supply. As human knowledge and control of nature increased, the food supply also increased, leading to an increase in population. But today, we are facing a crisis. Our global food supply may be hit severely by the end of the fossil fuel era, and by climate change. These factors have already produced a flood of refugees fleeing environmental catastrophes in Africa. Added to this are millions of refugees from wars in the Middle East. The result of the refugee crisis has been a loss of human solidarity, and the rise of fascism. In this difficult situation, we need to regain our human solidarity. We need to fight against fascism, and to regain democratic government. We need to end the wars, which are producing many millions of refugees. We need to avoid catastrophic climate change. “Post-truth” was the word of the year of 2016. Why such a word now? Was there a “pre-truth “ or “truth” era? Or is there ever truth? Let me again quote Albert Szent-Györgyi. One of his remarks that I remember from the time that I worked in his laboratory was this: “The human mind was not designed by evolutionary forces for finding truth. It was designed for finding advantage”. Napoleon Bonaparte, quoting Fontanelle, said “History is a set of agreed-upon lies”. Members of tribe like groups throughout history have marked their identity by adhering to irrational systems of belief. Like the ritual scarification which is sometimes used by primitive tribes as a mark of identity, irrational systems of belief also mark the boundaries of groups. We parade these beliefs to demonstrate that we belong to a special group and that we are proud of it. The more irrational the belief is, the better it serves this purpose. When people tell each other that they believe the same nonsense, a bond is forged between them. The worse the nonsense, the stronger the bond. Sometimes motives of advantage are mixed in. As Szent-Györgyi observed, evolution designed the human mind, not for finding truth, but for finding advantage. Within the Orwellian framework of many modern nations, it is extremely disadvantageous to hold the wrong opinions. The wire tappers know what you are thinking. But truth has the great virtue that it allows us to accurately predict the future. If we ignore truth because it is unfashionable, or painful, or heretical, the future will catch us unprepared. What do you think of fake news, and the discussions going on the mechanisms to control it? Throughout history, art was commissioned by rulers to communicate, and exaggerate their power, glory, absolute rightness, etc. to the population. Modern power holders are also aware of the importance of propaganda. Thus the media are a battleground, where reformers struggle for attention, but are defeated with great regularity by the wealth and power of the establishment. This is a tragedy, because today, there is an urgent need to make public opinion aware of the serious threats that are facing civilization, and the steps that are needed to solve these problems. The mass media could potentially be a great force for public education, but in general, their role is not only unhelpful: it is often negative. Today we are faced with the task of creating a new global ethic in which loyalty to family, religion and nation will be supplemented by a higher loyalty to humanity as a whole. In addition, our present culture of violence must be replaced by a culture of peace. To achieve these essential goals, we urgently need the cooperation of the mass media. How do the media fulfill this life-or-death responsibility? Do they give us insight? No, they give us pop music. Do they give us an understanding of the sweep of evolution and history? No, they give us sport. Do they give us an understanding of need for strengthening the United Nations, and the ways that it could be strengthened? No, they give us sit-coms and soap operas. Do they give us unbiased news? No, they give us news that has been edited to conform with the interests of the military-industrial complex and other powerful lobbies. Do they present us with the need for a just system of international law that acts on individuals? On the whole, the subject is neglected. Do they tell of the essentially genocidal nature of nuclear weapons, and the need for their complete abolition? No, they give us programs about gardening and making food. In general, the mass media behave as though their role is to prevent the peoples of the world from joining hands and working to save the world from thermonuclear and environmental catastrophes. The television viewer sits slumped in a chair, passive, isolated, disempowered and stupefied. The future of the world hangs in the balance, the fate of children and grandchildren hang in the balance, but the television viewer feels no impulse to work actively to change the world or to save it. The Roman emperors gave their people bread and circuses to numb them into political inactivity. The modern mass media seem to be playing a similar role. Because the mass media have failed us completely, the work of independent editors like yourself has become enormously important for the future of humanity and the biosphere. Do you think that humanity can tackle climate change? Do you have any suggestions? Solar power and wind energy are already much cheaper than fossil fuels if the enormous subsidies given to fossil fuel corporations are discounted. The main thing that the world needs to do is to abolish these subsidies, or, better yet, shift them to the support of renewable energy infrastructure. If this is done, then economic forces alone will produce the rapid transition to renewable energy which we so urgently need to save the planet. Hope that catastrophic climate change can be avoided comes from the exponentially growing world-wide use of renewable energy, and from the fact prominent public figures, such as Pope Francis, Leonardo DiCaprio, Elon Musk, Bill McKibben, Naomi Klein and Al Gore, are making the public increasingly aware of the long-term dangers. This awareness is needed to counter the climate change denial propaganda sponsored by politicians subservient to the fossil fuel industry. Short-term disasters due to climate change may also be sufficiently severe to wake us up. We can already see severe effects of global warming in Africa, in parts of India and in island nations threatened by rising sea levels. What do you think of the attitude of people like James Lovelock, who say “enjoy life while you can”? I believe that this is a betrayal of our responsibility to our children and grandchildren and to all future generations of humans. It is also a betrayal of all the other species with which we share our beautiful planet. We give our children loving care, but it makes no sense do so and at the same time to neglect to do all that is within our power to ensure that they and their descendants will inherit an earth in which they can survive. Inaction is not an option. We have to act with courage and dedication, even if the odds are against success, because the stakes are so high. The mass media could mobilize us to action, but they have failed in their duty. Our educational system could also wake us up and make us act, but it too has failed us. The battle to save the earth from human greed and folly has to be fought in the alternative media. We need a new economic system, a new society, a new social contract, a new way of life. Here are the great tasks that history has given to our generation: We must achieve a steady-state economic system. We must restore democracy. We must decrease economic inequality. We must break the power of corporate greed. We must leave fossil fuels in the ground. We must stabilize and ultimately reduce the global population. We must eliminate the institution of war. And finally, we must develop a more mature ethical system to match our new technology. What do you think of a world 50 years from now? The future looks extremely dark because of human folly, especially the long-term future. The greatest threats are catastrophic climate change and thermonuclear war, but a large-scale global famine also has to be considered. Nevertheless, I hope for the best, and I think that it is our collective duty to work for the best. The problems that we face today are severe, but they all have rational solutions. It is often said that ethical principles cannot be derived from science, and that they must come from somewhere else. However, when nature is viewed through the eyes of modern science, we obtain some insights which seem almost ethical in character. Biology at the molecular level has shown us the complexity and beauty of even the most humble living organisms, and the interrelatedness of all life on earth. Looking through the eyes of contemporary biochemistry, we can see that even the single cell of an amoeba is a structure of miraculous complexity and precision, worthy of our respect and wonder. Knowledge of the second law of thermodynamics, the statistical law favoring disorder over order, reminds us that life is always balanced like a tight-rope walker over an abyss of chaos and destruction. Living organisms distill their order and complexity from the flood of thermodynamic information which reaches the earth from the sun. In this way, they create local order; but life remains a fugitive from the second law of thermodynamics. Disorder, chaos, and destruction remain statistically favored over order, construction, and complexity. It is easier to burn down a house than to build one, easier to kill a human than to raise and educate one, easier to force a species into extinction than to replace it once it is gone, easier to burn the Great Library of Alexandria than to accumulate the knowledge that once filled it, and easier to destroy a civilization in a thermonuclear war than to rebuild it from the radioactive ashes. Knowing this, we can use the second law of thermodynamics to form an almost ethical insight: To be on the side of order, construction, and complexity, is to be on the side of life. To be on the side of destruction, disorder, chaos and war is to be against life, a traitor to life, an ally of death. Knowing the precariousness of life, knowing the statistical laws that favor disorder and chaos, we should resolve to be loyal to the principle of long-continued construction upon which life depends. John Scales Avery, Ph.D., who was part of a group that shared the 1995 Nobel Peace Prize for their work in organizing the Pugwash Conferences on Science and World Affairs, is a member of the TRANSCEND Network and Associate Professor Emeritus at the H.C. Ørsted Institute, University of Copenhagen, Denmark. He is the author of numerous books and articles both on scientific topics and on broader social questions. His most recent books are Information Theory and Evolution and Civilization’s Crisis in the 21st Century (pdf). Fossil Fuels: At What Price? US Elections Cry Out for Reform!